The Party’s elite body and the government will have the final say on their political fate, which is anything but certain. 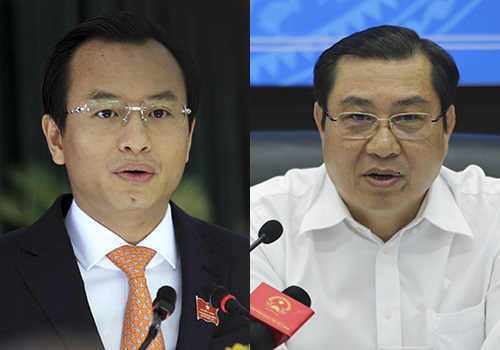 Vietnam’s ruling Communist Party has given a slightly clearer inkling of what will become of the two top leaders of the central city of Da Nang after naming and shaming them last week for misconduct, mismanagement and dishonesty. Though the Party’s elite body and the government will have the final say on their political fate, the latest move by the Central Inspection Committee has all but left them hanging by a thread. 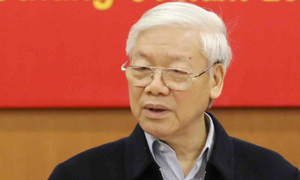 The committee, the Party's top watchdog, said in a statement on Friday that Nguyen Xuan Anh, Da Nang’s Party chief, will have to await a final verdict from the Politburo, the group at the pinnacle of Vietnamese power. It remains unclear when the Politburo will issue a decision. Over 200 senior Party members are slated to convene for a key gathering in Hanoi at a yet-to-be-announced date next month, just slightly ahead of the Asia Pacific Economic Cooperation Summit to be held in Da Nang this November. Anh is accused of flouting the Party’s democratic centralism principles by making multiple decisions without consulting others, besides personal misconduct. He also set a bad example by accepting a car and two houses as gifts from businesses, according to the Central Inspection Committee. His academic credentials have also been flagged by the inspectors. The punishment Anh is facing is reminiscent of how the top leader of Ho Chi Minh, Dinh La Thang, fell from grace last May. 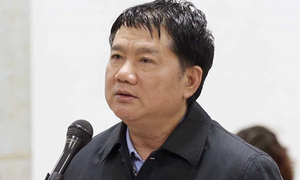 Thang lost his post as well as his seat on the Politburo just several days after the Party watchdog recommended disciplinary action against him for “serious violations” when he was chairman of PetroVietnam several years ago. 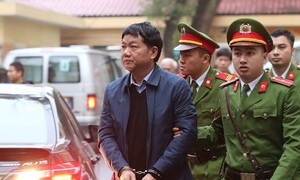 Huynh Duc Tho, Da Nang’s chairman, received a warning from the Communist Party, which has four modes of punishment for misconduct by official members: reprimand, warning, demotion and expulsion. He has been held mainly accountable for land management violations in the city. For a high-ranking official like Tho, receiving a warning also means that his political career as the chairman of what has been dubbed Vietnam’s “most livable city” is anything but certain. Technically, his dismissal will require the approval of the municipal legislature before the prime minister signs off on it. Da Nang will host world leaders, possibly including U.S. President Donald Trump, China's Xi Jinping and Russia's Vladimir Putin, at the APEC summit. There must be "no mistakes" made during the course of the six-day summit, Deputy Prime Minister Pham Binh Minh said last week. The central city has gained kudos as one of the most modern places in the country, and its leadership is often hailed as an example to follow. Yet the latest troubles besieging its top leaders follow a number of management scandals in recent months. Vietnam’s anti-corruption campaign, spearheaded by Party chief Nguyen Phu Trong, has focused on energy giant PetroVietnam and the banking sector, ensnaring scores of officials, including the ousted Politburo member Dinh La Thang. But with the latest move targeting Da Nang’s top leaders, it is clear that the counter-corruption investigations are not going to end there, analysts say. “The leadership is sending very clear signals that growth and development are not going to come at the expense of Party discipline,” Zachary Abuza, a Southeast Asia analyst at the National War College in Washington, said.